Event managers are constantly in search of various ways to encourage and inspire healthy/friendly competition during team meetings? There’s nothing more essential than corporate team building. The advantages of an office that take the appropriate time out together to play, gets things done faster, has innovative ideas, and most of all, makes everyone actually enjoy coming to work. Happier workers will no longer want to out sick if you incorporate a few cost-effective, yet fun and engaging activities throughout the entire year. Think about different ways you can make sure you’re promoting a sense of camaraderie in your office? 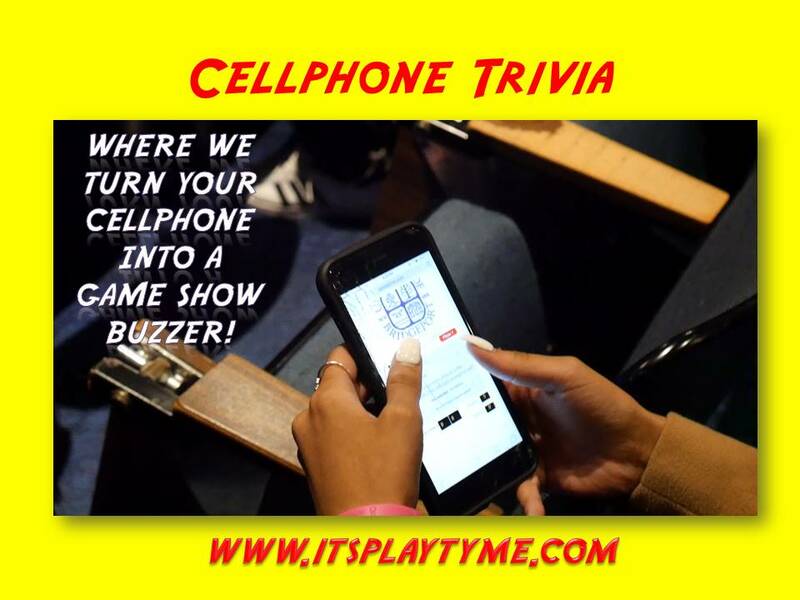 You may want to consider one of our popular tournament style game show activities! Below is a list of our most requested game shows to date. Corporate team building doesn’t have to be boring any longer. There are thousands upon thousands of activities out there to choose from but you want something memorable and fun. We are here to help with our two hour tournament style game shows. As you can see from this article, there are lots of ways you can get creative, motivate your employees, and even reward them with a fun night out! Based on the popular game show Wheel Of Fortune, this game is great for identifying who on your team can really think on their feet. 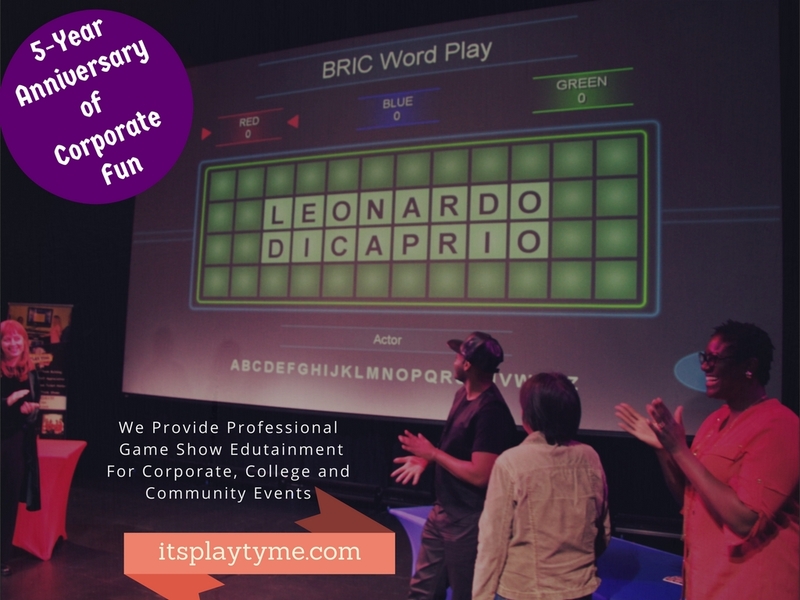 It is one of the best tournament style game shows for team building. This game is crucial for team building because quick thinking (especially in a tough situation) isn’t everyone’s strong suit. However, when your employees know who they can count on in times of crisis, your overall office efficiency will improve. Plus, everyone’s stress levels will go way down. Want to find out who the real intellectuals in your office are? Who has a wide base of knowledge, over lots of different subjects? This game will certainly tell you! It is a technology based game for corporate team building. This particular game can host up to 1,000 employees, so even the largest companies can get in on the fun. Plus, if you allow your employees to work in teams, it’s likely that natural leaders will emerge. Especially if you’re considering people for promotions, or know that a huge project is coming up, this can help you identify who might be the best fit. This game, based on Family Feud, is a great way to make your team laugh! It will also help to promote a healthy sense of competition on your team. Your employees can figure out who they can work well within your office based on the answers people give. To identify the most creative thinkers on your team, try the “Fast and Furious Tournament” option. Here, you can have between 100-150 people competing with each other. Maybe you could even do a branch vs. branch rivalry! If that’s you, then this is the perfect game for your next event. If you’re in need of a great icebreaker that’s going to put everyone at ease and encourage people to mix and mingle, it’s also an awesome option. This game involves singing, dancing, hilarious improve, and lots of other different scenarios. It’s pretty much an “anything goes” game. Whatever trivia, action, or scene the employee is given – they just have to roll with it! Looking for more team building advice or ideas? 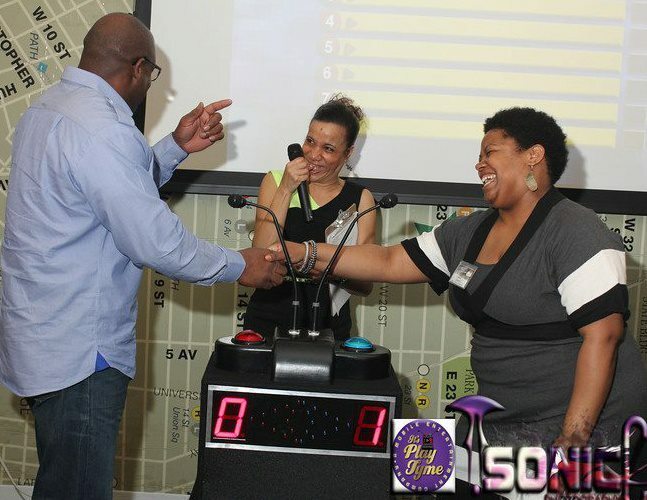 Want to host a game show for your office? Check out our blog for more information or get in touch with us to get started planning an exciting event. You can also call us directly at 201-357-2979 for more details.